"I'll just have a small sip, mmkay?" "You come back later, nap time now." "What do you mean you ran out of yogies? How could you just let that happen?" 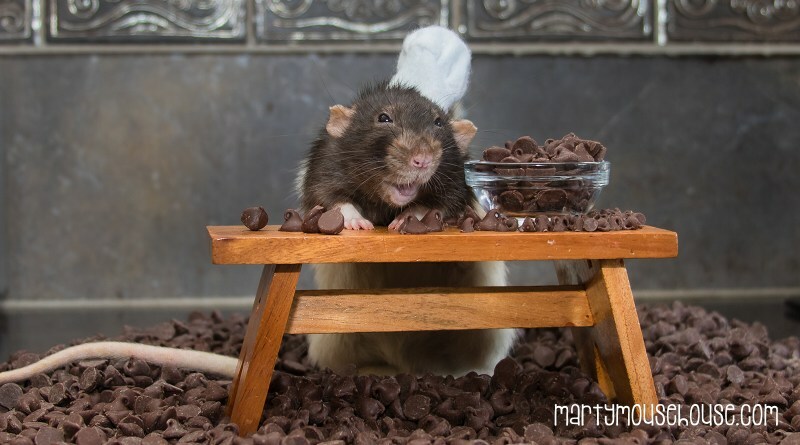 "Today I'll be showing you the rat way of making a chocolate cake." The first one with the drink is really cute. I like the chocolate cake one too. Just being cute as usual. Delightful indeed, have a nice week! 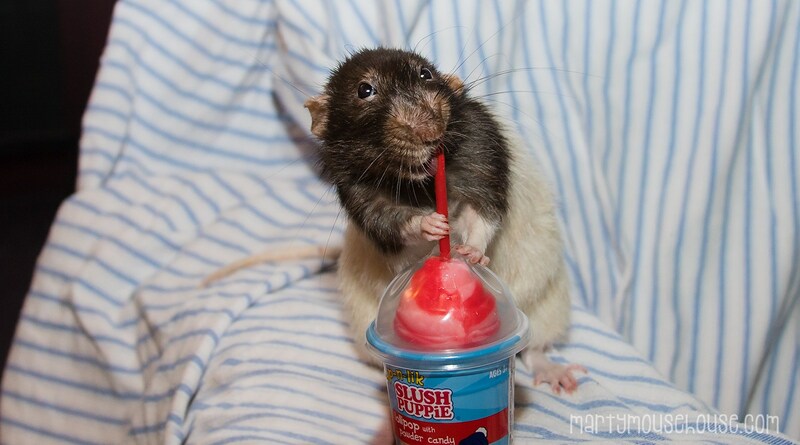 I love a good slushie. 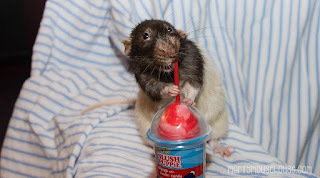 That would be funny to see any animal enjoying a slush puppy in real life! 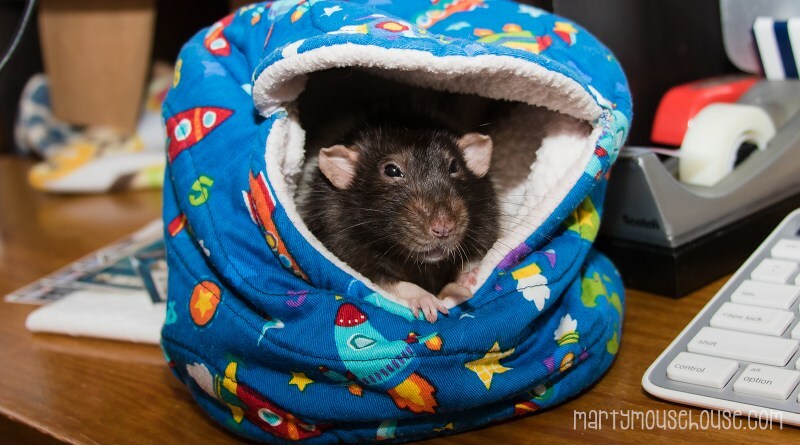 Aaaand now I want a rat. I'm sure my cats would love that. LOL probably not a good idea. Glad you thought so too. These rat photos just make me smile. Sure makes Monday morning a bit mor bearable. So glad you liked them. I don't know which is cuter, the fact that that little guy is drinking from a slurpee, or the fact that they make a mini slurpee called a 'slush puppy'. Right? I thought that was so cute. Made me smile, thank you. They are all stinking cute..love the slushy one. Awe so cute, thanks Mary! So glad you thought so. Thanks for stopping by. I found your blog though Low Carb and I sure hope you and Mr Rat is enjoying your week. 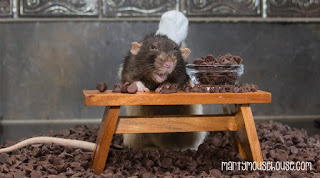 I am curious, do rats make cake the same way we do? Or are some ingredients different? His facial expressions just crack me up. Aren't they. Just love the pictures. Oh my goodness haha! That look like they are sneering at me. The last one looks sweet though. They make the cutest faces.